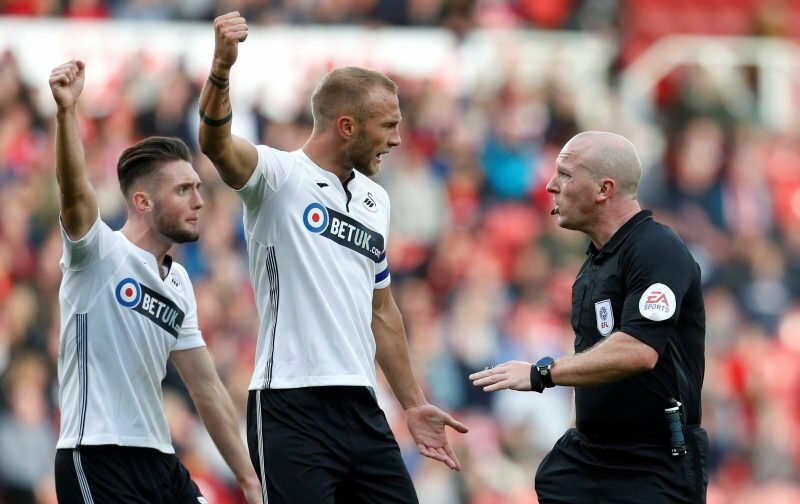 Swansea City manager Graham Potter explained why he took off his vice-captain Mike van der Hoorn at half-time during today’s 2-1 comeback win against Sheffield Wednesday. It was Swansea’s fourth win after coming back from behind as substitute Bersant Celina and Wayne Routledge made the difference – both scoring inside 2 minutes to turn the game on its head just 8 minutes after the visitors took the lead. van der Hoorn was the Swans’ most accurate passer during the game with a 98% success rate, making just one bad pass from his 47 attempted. Cameron Carter-Vickers came on in his place at the start of the second half.